I have been practicing yoga with the same teacher for more than 20 years. At a recent class, the yogi discussed change and said, “Dissatisfaction is an indication of progress.” As soon as he said this, a light bulb went off in my head. Instead of thinking of dissatisfaction as something bad, it is actually one of the most powerful ways our subconscious nudges us to make a change. Whether it is weight loss, quitting smoking or being more patient, when we are feeling dissatisfaction and discontent, it is our inner being gently nudging us to go for more. This 2012, I encourage everyone to take action steps to clear out any “dissatisfaction” that they may be experiencing. As a starting point, cleaning up your diet can have a dramatic transformation. Why? Because although we are indeed much more the we eat, what we eat can help us to become our very best selves. Enjoy this holiday edition of the Dr. Joey newsletter filled with natural hair products (that we love), gift ideas, recipes, books and more! 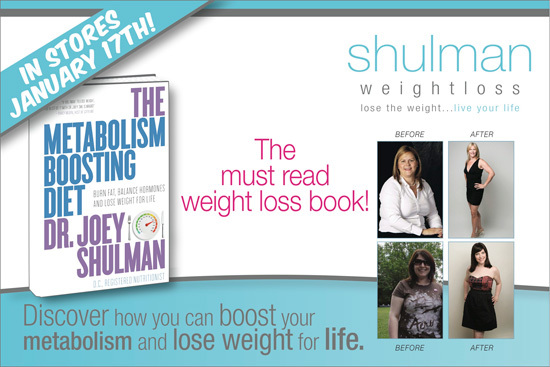 And stay tuned next month for The Metabolism Boosting Diet Contest. I cannot wait to share the details with you! Mrs Beachley's Mulled Red Wine – A bit of red wine is a healthy choice this holiday season, giving you an antioxidant boost of resveratrol. Mrs Beachley's mulled red wine has been simmered with a touch of cinnamon, nutmeg and orange for added flare. Serve warm on a cold winter's night, light the fire, and let the conversation flow! DOM Organic Smoked Salmon – As my wise bubbi (grandmother) once spoke, “Who doesn’t love lox?” Lox, also called smoked salmon provides a whopping 11 grams of protein per 2 slices and one gram of healthy omega-3 fats. 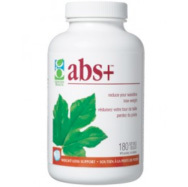 Plus, going organic ensures that you're not getting any hormones, nitrites or genetically modified ingredients. Check out our Smoked Salmon Deviled Eggs recipe below. 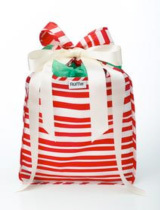 RuMe Bags Re-usable Gift Wrap – We love giving but we hate the waste! It's a sad fact that Christmas is the most unsustainable holiday of the year, generating an extra 3 million tons of waste from packaging alone. ärta Tea Infuser and Saucer – We're always encouraging people to drink more tea as an easy way to get antioxidants – and unwind. Here's a neat way to brew some looseleaf: Fill ärta's new infuser pod with your favorite blend then turn the saucer upside down over a cup of hot water. 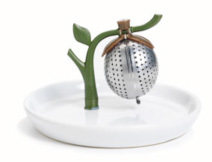 The branch keeps the pod fully submerged for thorough steeping, while the saucer traps heat, keeping the tea warm. This hot item makes a great stocking stuffer too! 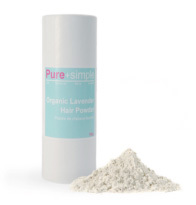 Organic Lavender Hair Powder by Pure + Simple - Want to keep your hair feeling fresh and healthy between washes? Check out Pure + Simple's new hair powder (aka dry shampoo), a waterless way to maintain the health of your hair and scalp when you're crunched for time. This all-natural powder absorbs oil and textures your locks while the calming scent of lavender soothes you mind. Sprinkle ground cinnamon on any hot cereal. Top your latte with cinnamon or grind your coffee beans with it. Enhance the sweetness of fruit with a touch of cinnamon. Add a tablespoon of cinnamon to pancakes, muffins or cookie recipes. Add a cinnamon stick to your stew, like the recipe below. Try adding a pinch of cinnamon to curry recipes. Make a mole spice rub using ground cinnamon, cocoa powder and a pinch of cayenne. Season couscous or quinoa with cinnamon and raisins. Simmer apple cider or soy milk with cinnamon sticks for a delicious winter warm-up. Enjoy a cup of cinnamon spice tea. 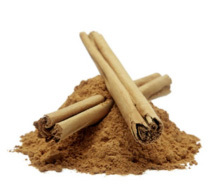 Garnish desserts with ground cinnamon or cinnamon sticks. Place eggs in a large saucepan. Cover with water and bring to a boil. Remove from heat; cover and let stand for 15 minutes. Drain and rinse with cold running water. Peel eggs; cut in half lengthwise. Place yolks in a medium bowl; mash with a fork until smooth. Add sour cream and next 7 ingredients (through salmon); stir well. Spoon mixture into egg white halves (about 1 tablespoon in each half). Garnish with herb sprigs, if desired. Combine all ingredients in a large saucepan. Bring to a boil; cover, reduce heat, and simmer 30 minutes. Strain the mixture through a sieve, and discard solids, unless you want to leave the cinnamon stick in for garnish. Serve warm and enjoy! Black bean chia brownies – as seen on CityLine! While they may not sound appetizing at first, I assure you – these brownies are a hit at every party with every age group! No one will ever guess the two secret ingredient in this recipe: black beans ad chia seeds! Butter an 8-inch baking pan. Place the black beans, eggs, butter, chia seeds, cocoa powder, salt, vanilla, and sugar in the bowl of a food processor and blend until smooth. Remove the blade and carefully stir in the chocolate chips and walnuts. Transfer mixture to the prepared pan. Bake the brownies for 30 to 35 minutes, or until just set in the center. Cool before cutting into squares.